For ages Junior and up. Almost 40 fun and unusual puzzles, including world searches and crosswords, hidden pictures, jig words, number games, codes to solve, and more. 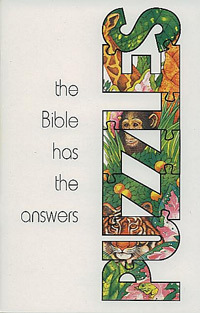 Each puzzle is based on the Bible.